2018 Kick off with a few Incredible sunrises! One of my favorite times of the day to be out shooting is early morning before the sun comes up where everything is calm and the chill is still in the air. The beginning to 2018 has not disappointed for those early morning adventures, though colder then I expected but that just adds some texture to the pictures. First outing - 1/10/2018 - Sunrise circuit (Park at the Paddle boats, walk to the Washington Monument, World War II Memorial, Lincoln Memorial, towards the Korean War Veterans Memorial, past Martin Luther King Jr. Memorial and back to the jeep) at the monuments in Washington DC. This is a picture I have been thinking about for a while but with the moon almost full and a little too long of an exposure so the stars went a little elliptical vs crisp circles. It's not technically perfect but I like the concept and will be watching the moon cycles to get this shot in 2018! One of the unique situations early this year is the frozen reflecting pool in front of the Lincoln Memorial and I love these early morning shots with the glow of the city lights across the ice. The clouds this morning were moving at a nice pace and the first light colors were amazing. Long exposure shot to get the movement in the clouds to really help add some depth to the picture. Another fun shot with the Tidal Basin fully frozen with the Jefferson Memorial at first light with those lovely morning colors. 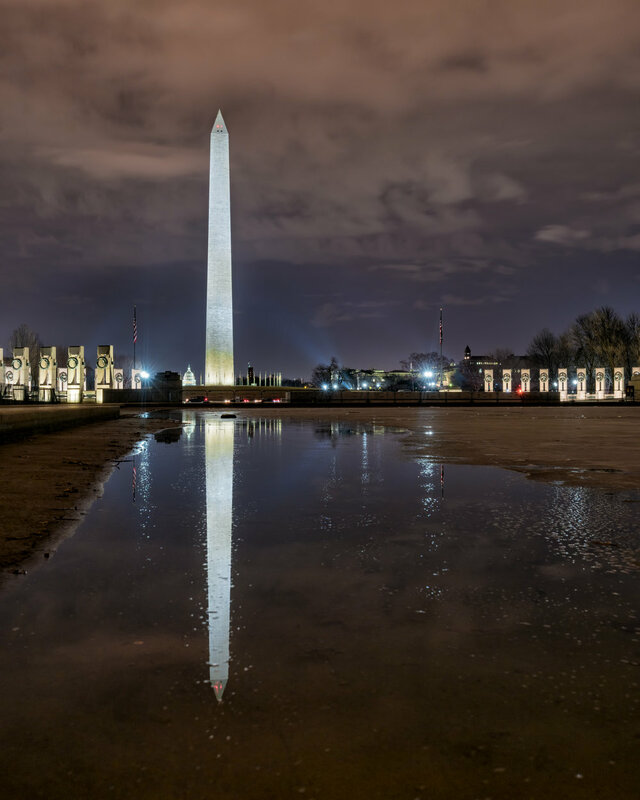 This was a bit of a unique angle as I was able to step out into the reflecting pool as the water is starting to thaw and some fun textured water for reflections of the flags, State Capitol, World War II Memorial and Washington Monument. A little further down the reflecting pool where you can see where the ice is starting to break up. Taken from in front of the Lincoln Memorial at the bottom of the steps right by the reflecting pool and a super low angle. As i was walking up to the Lincoln Memorial the clouds were moving and opening in a few spots to show the blue early morning sky so had to try and frame it the best I could and try and show some of that movement from the clouds. 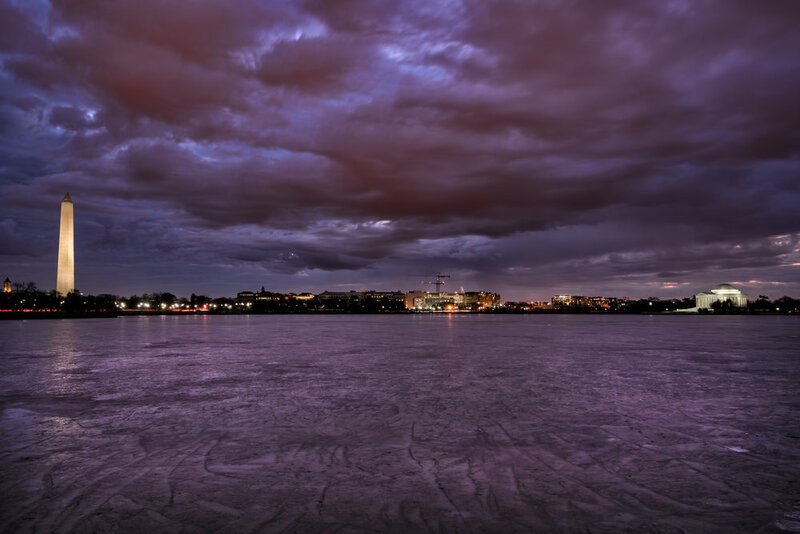 This was just as light was starting to come up behind the Jefferson Memorial, the colors and sky were just amazing for about 25 minutes till the sun peaked out. This was almost a throw away image for me because of the railing in place in the monument but I did like the texture in the sky and how the WWII Memorial looks at night with the ring of lights from the fountain and after my 5 minute normal processing I liked it even more. This was the last frame of a time-lapse I had running but unfortunatley had a battery run out on me so didn't quite get the sun coming up fully above the horizon. I will be working on venturing out to try a few other locations in the area over the next few months as well. Get some better shots of the Capitol and a few other spots that some other photographers have mentioned. 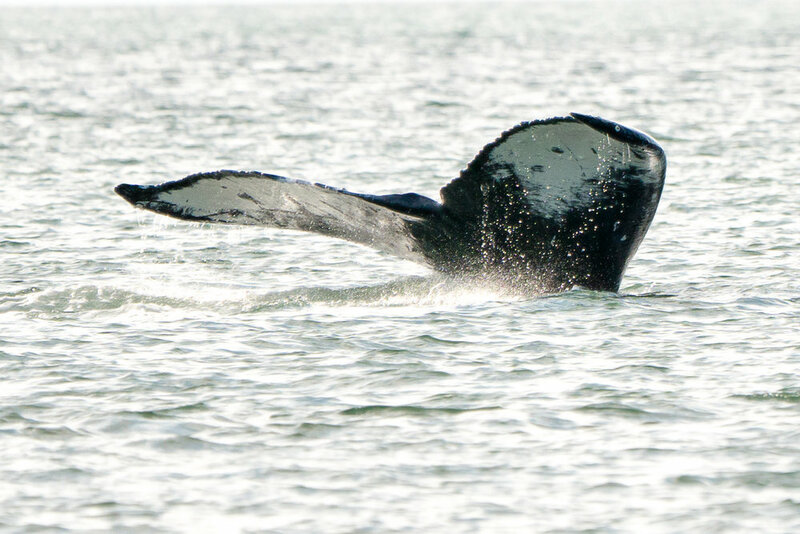 As always the images captured here are on my Smugmug account under Travel and Locations and then under Northern Virginia. The only way to get the shot is be out there shooting! I interrupt the Alaskan Cruise updates to say Happy New Year! In 2017 I had challenged myself to get out and be behind the lens more and I think I accomplished that but the problem I saw as I started looking back through the year is not many of my outings had a specific image or goal behind them. I think the challenge I have for myself is continue to spend time behind the lens but look to be more intentional about what I am going out to capture. I do think most days last year my intention was to capture a sunrise shot but that is pretty generic. What is the sunrise shot I want to capture? Realistically it's like every other photographer that goes out which is to capture an image that has that "wow" factor that draws people into the photo and feeds the creative mind by showing appreciation for it via social media or other means. So 2018 I am still going to go out randomly and shoot sunrises with the intention of capturing that perfect sunrise but I also am going to spend some intentional time this year chasing an image vs creating an image from just random happenstance. Enjoy the new year, blessings to all of you and get out their and shoot! 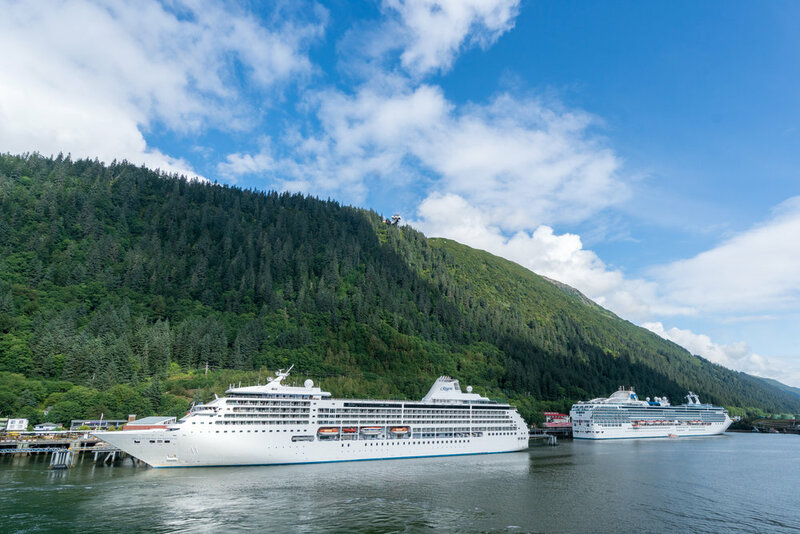 One of Annita and I's favorite vacations are cruises and this year I got to check off one of my bucket list cruises, Alaska. 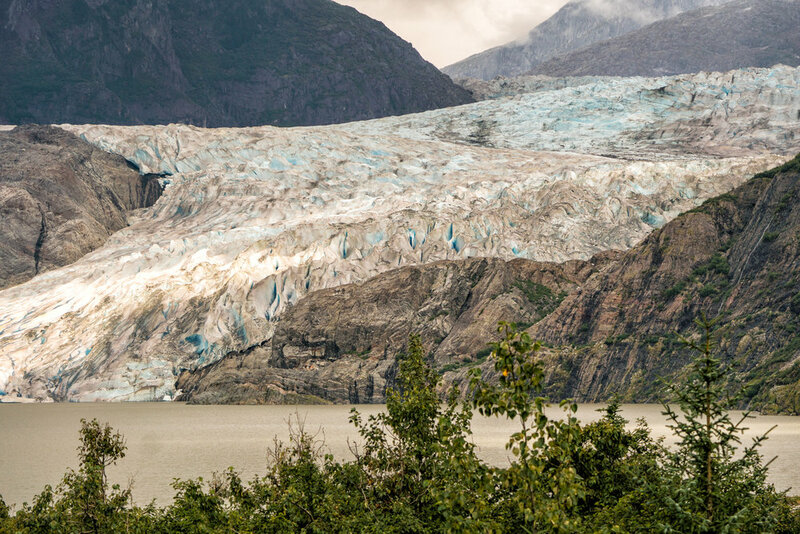 Annita has been to Alaska for work before and she told me how beautiful it was but until you experience it for yourself you really just don't know. 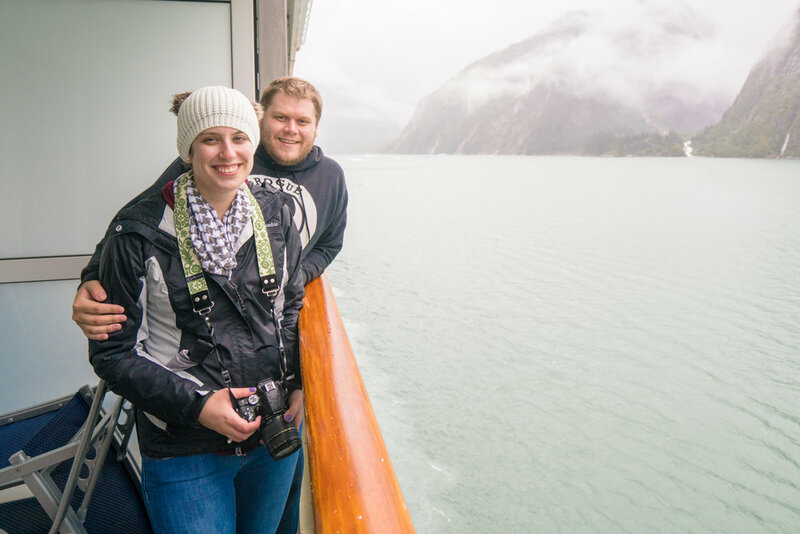 We decided to take one of the last cruises out of Seattle with Carnival cruise lines on the Carnival Legend cruise ship with some good friends of ours Ryan and Sarah Rovnak. 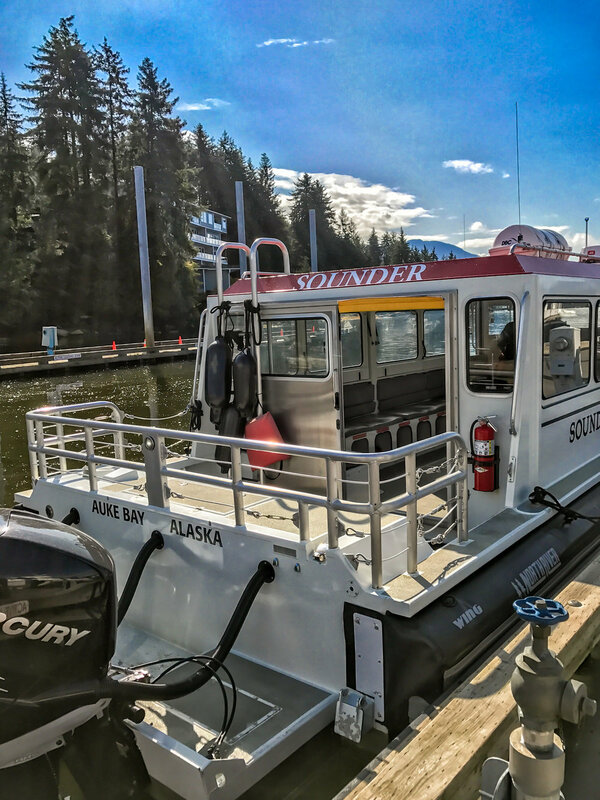 The cruise started off in Seattle where we essentially just went from the airport to the dock to jump on the boat. 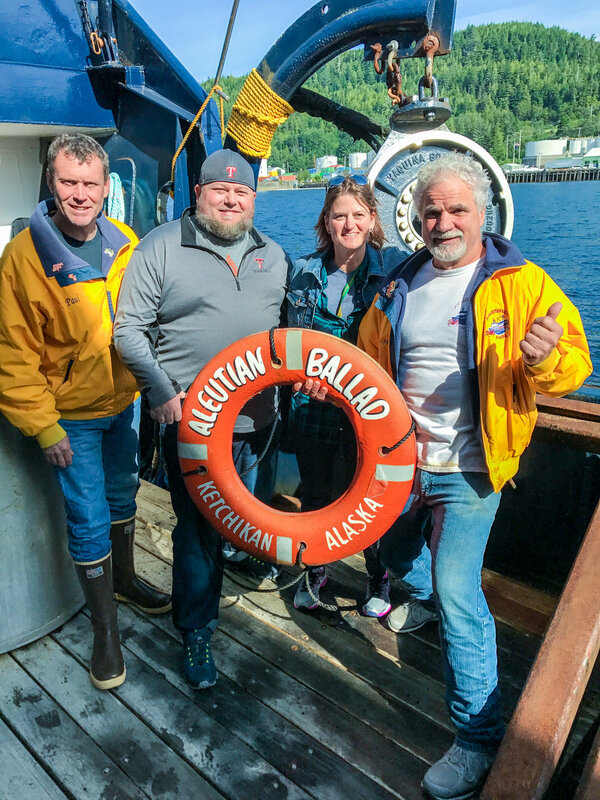 We were soon on board and ready for our 7 days of Alaskan adventure! The itinerary was Day 1 - Seattle, Day 2 - Fun Day at Sea, Day 3 - Cruise Tracy Arm Fjord, Day 4 - Skagway, Day 5 - Juneau, Day 6 - Ketchikan, Day 7 - Victoria BC, Day 8 - arrive back in Seattle. The First day was getting oriented on the ship and really getting ourselves settled for the next 7 days aboard the boat. 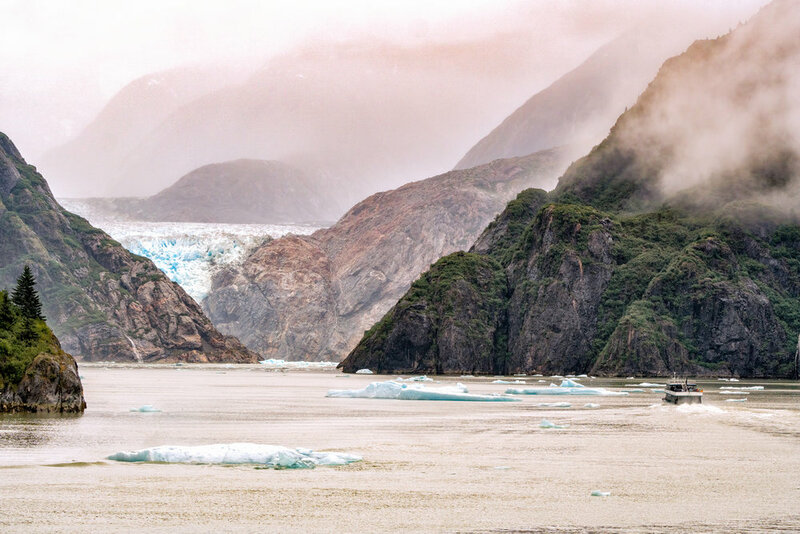 Day 3 brought us to our first destination which was a cruise of the Tracy Arm Fjord which would lead us to the Sawyer Glacier. 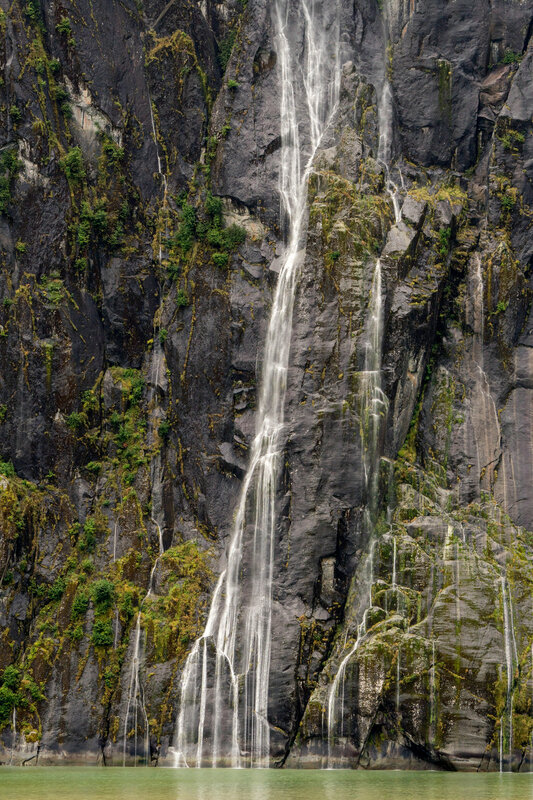 While it was a bit rainy and overcast the views were absolutly stunning. 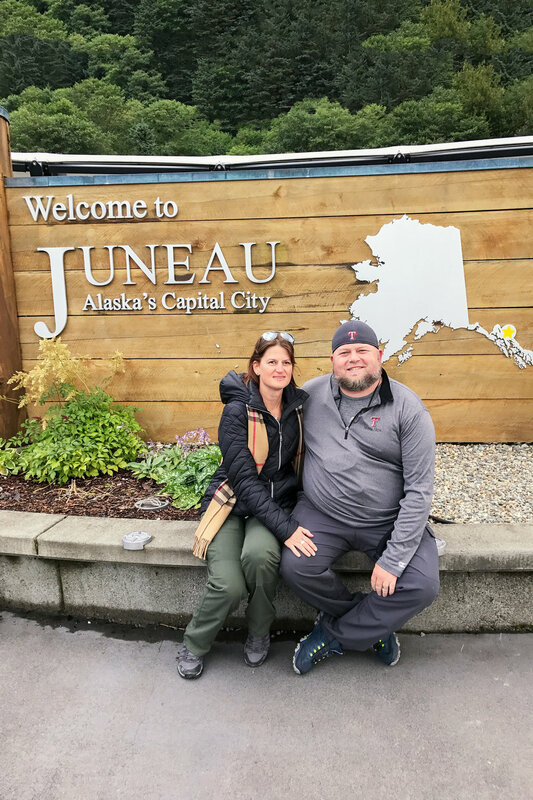 Stay tuned for the next part of the trip where we stop in Skagway and continue on to one of our favorite stops of the trip, Juneau. This year has really flown by it seems but I have had an incredible year behind the lens and while my little weekly photo challenge I started here was a failure on my behalf I did still shoot a ton this year. January 2017 we started off the year with some good friends wedding reception (they got married in Disney last year) and was able to setup a photo booth that we really had some fun with. Just so happened to be on Annita and I's anniversary so Wedding cake bonus! February 2017, Annita and I were able to get out and do some adventuring around the area and joining a group doing some skiing up in Pennsylvania and checking out some brewery's (not at the same time mind you). March 2017 led us into Cherry Blossom season down at the Tidal Basin in DC where I spent many a mornings throughout the month. Annita and I also ventured out to check out a waterfall at Crabtree Falls in Tyro Virginia which was nice but we got a little surprise along the way, yes the snake is harmless but I almost jumped into the water when it popped out. April 2017 - We finally got a chance to visit the Murphy's in PA and Annita and Kris did a little running as well. We also got to do a little more exploring and bought annual passes to Meadowlark gardens and checked out Luray Caverns. May was a pretty slow adventure month but we still manged to head up into Maryland and checkout another botanical garden, Brookeside Gardens. In June we ventured out to Burke Lake park which is close by the house to check out some sunrises and get some walking in. 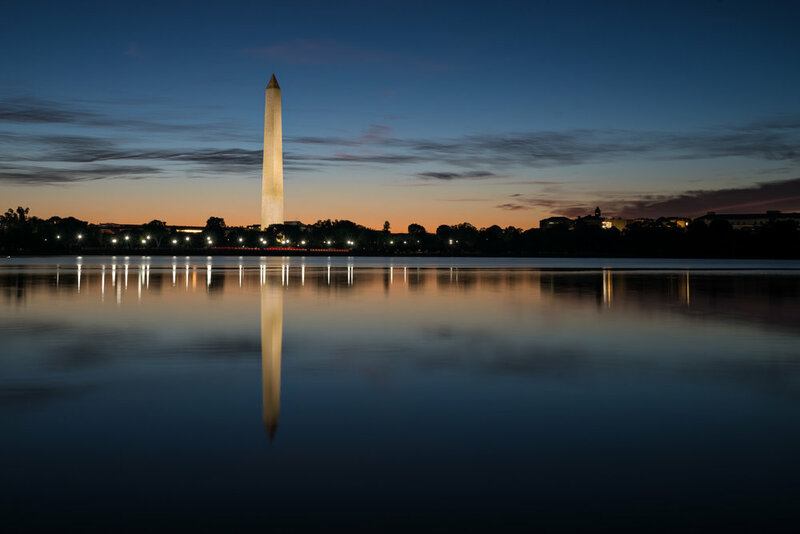 I also made a few adventures down to the Tidal Basin for some sunrise fun. June was also my first baseball game in DC and got to see the Texas Rangers play which was an incredible time with my wife and met some Texas fans at the game that made us think of Dallas. July we got to visit the Murphy's again in PA and Kathy, Alan and Kyle up in CT for a balloon festival that was a bit of a bust due to weather. August we had our wonderful friends the Thornberry's from Texas come in to visit and you can guess it, I did some sunrise shots at the Tidal Basin and Naitonal Mall area. 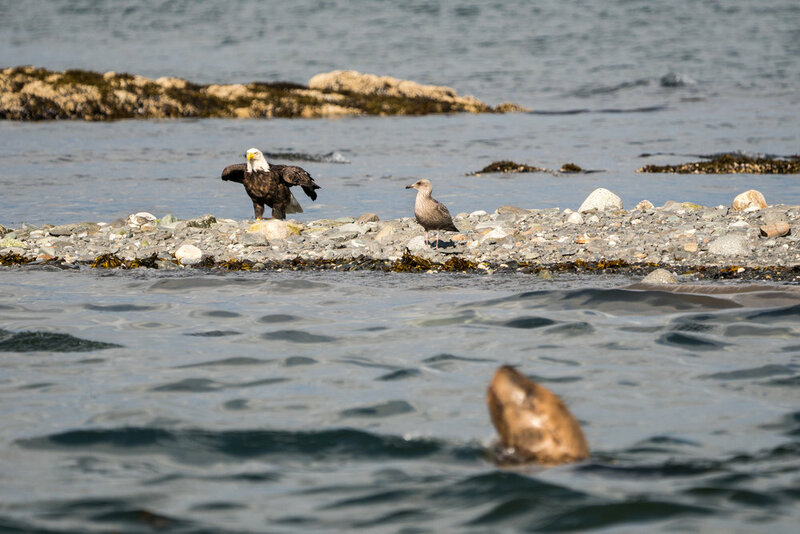 At the end of August we headed to Seattle to jump on a Carnival Cruise to Alaska which was INCREDIBLE (that will be a seperate blog all in it's own). 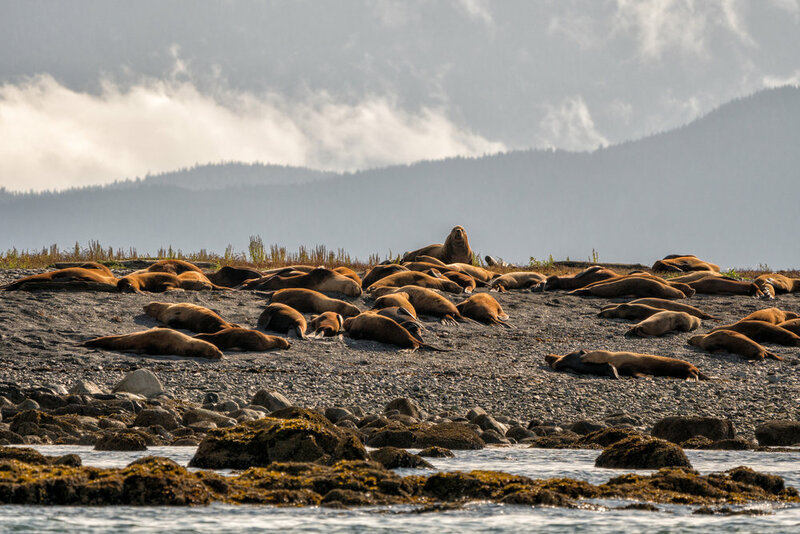 September started off with us in Alaska on our Cruise and I will pop in a few images but will do another blog post with the highlights from Alaska another time. We also did some local running around hitting Meadowlark gardens and stopping in to check out Cars and Coffee in South Riding for a little fun. October we got to be a part of the amazing wedding for our good friends Kathleen and Jonathan and headed back to Dallas for a short trip for my annual company BBQ. I also got the chance towards the end of the month to head out with my good friend Angela to catch some sunrises on Skyline drive. November and December pretty much blended together with work and everything but we did get our first Snow of the season a little earlier this year so Angela and I grabbed the cameras and headed out to Great Falls to see what we could capture (I need work capturing snow falling). I know this will suprise everyone that made it this far but I also spent some time down at the Monuments shooting sunrise. That is a quick glance at what we did in 2017 and already have some fun plans for 2018 and looking forward to capturing as much of it as I can through images and video for our memories and to share with everyone. Sunrises are quickly becoming one of my favorite things to shoot, maybe it's the sunflare or maybe it's just the peacefulness of being only one of the few people crazy enough to be up at that time of day. This time of year it is even a little more difficult as sunrise is so early in the morning but that has not stopped me the last two days! One of the things I am setting out to do is try and shoot a time lapse twice a month because I really do like the content that they can add for videos or just standalone to show off a location. Now I just have to find the formula that works best for the way I shoot and with the equipment that I use because I still want to keep my kit down to a minimum so not carrying extra wired triggers around for the camera and using the internal app on the Sony's that has some limitations. Anyway, enough talk let me show you pretty things. One of my favorite times of day is to shoot is sunrise, not a fan of the time of day this time of year to get up in order to catch it but that is not the point. Last Saturday we woke up in what I thought was plenty of time and got out to the lake around 5:30 and the Sun was already coming up so it became a mad scramble to get the camera setup and a time lapse running. It was a great morning and Annita (My wife) got her morning yoga in on the pier while I took photos so a win/win for both of us! Here are a few of the shots from that day. Plan is to get out this Thursday, June 8th to try and catch sunrise downtown by the monuments. I have failed. Simple, to the point and honest. I was not able to complete more then 7 weeks of continuous updates for the 52 week challenge and now have fallen completely behind. How often does this also happen in our every day lives not just with our hobbies. We start with a drive to accomplish something and various factors creep in and next thing you know you are over your head trying to catch up. I am not going to try and catch up at this point but I will continue to use the 52 week challenge ideas to capture them this year just may not be on the week as planned. So now I just adapt and find how I want to share my art and for that I will bring you along on our adventures as we explore the Northeast as recent transplants. The last couple of trips are just me and my wife wanting to get out and explore the area and see some of the beauty that Northern Virginia has to offer. We started off close to home by checking out Meadowlark Botanical Gardens in Vienna. After walking around the gardens which are beautiful we were a bit hungry so decided to give Astro Doughnuts and Fried Chicken a try and it did not disappoint. I know what your thinking, Fried chicken at a doughnut place but you would be surprised! 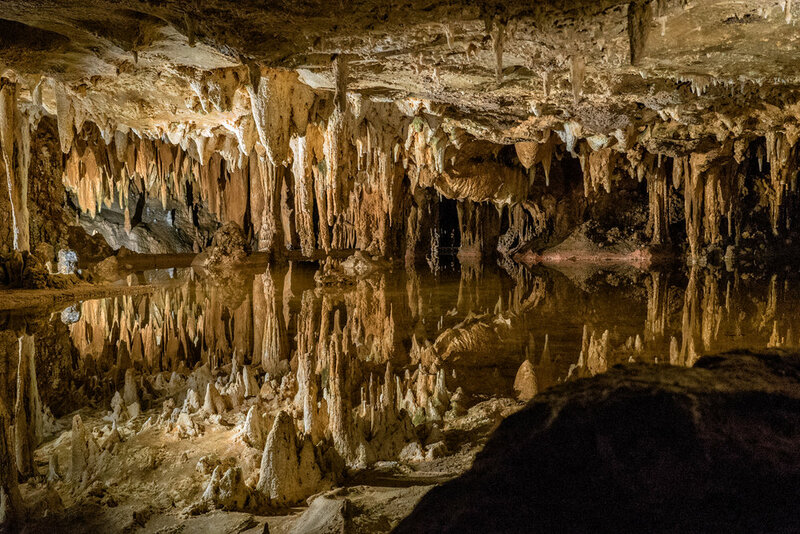 Next we head out west towards the Shenandoah National park to check out the Luray Caverns which was discovered in 1878 by 5 locals. When we arrived we noticed an abundance of tour buses and quickly realized the crowd we were in for. Even though the crowd had numbers the employees moved everyone through quickly and the wait really was not that bad. Following that Memorial day was right around the corner so we decided to find another botanical garden to check out in the area, might as well get those steps in while you check out some beauty in nature! This lead us to Brookside Gardens in Maryland and it was equally as impressive as Meadowlark and even had a butterfly exhibit! We did not check it out this trip but will be planning a trip back soon and it will be on the agenda! For Memorial day we headed out to Burke Lake park as the fog had rolled in pretty thick so wanted to see how the sunrise would pop off, it didn't, but we got in a good walk and some fun pictures! Burke Lake Park, Fog and Yoga, why not? We have a few trips planned in the next couple of months but will do my best not to wait months before updating again. Week 8-13 Feb/March 2017 - The catch up blog and Cherry Blossoms! I am a little bit behind but have been out shooting so the next updates may have a bit of a theme to them because I absolutely love the shots from the last few days out shooting the Cherry Blossoms here in Washington, DC. This is a catch up blog to cover the last 6 weeks in an attempt to get me back on track! I was not sure what to expect when I went out to the Tidal Basin this year as we had a freeze right before and thought it may have killed off a majority of the blossoms for the season. I was pleasantly surprised when I went out for 3 days last week in the early shadows of the morning to capture the sunrise and I am glad I did! Over those 3 days I was able to capture some incredible shots, meet up with a good friend for some fun and it inspires me to want to be out every morning with a camera in my hand. Environmental portrait is typically of a subject in their natural environment so this is very fitting because this is where Angela loves to be, in the middle of the Cherry Blossoms. #Sony A7SM2, F/4, 1/500th, ISO 640. As you can tell from the shots above I have a theme and it is the Tidal Basin. This was a very Foggy morning but thought the Jefferson Memorial reflection along with the Cherry Blossoms was a great shot. #Sony A7RM2, F/4, 1/250th, ISO 400. I really love this shot of the Cherry blossoms with the Jefferson Memorial compressed in the background and the only way to accomplish that was to step back and zoom in. #Sony A7RM2, F/6.3, 1/100th, ISO 400.